In the land of heavy-duty pickup trucks, the Ram 2500 4WD stands near the top of the mountain. This truck is designed to haul loads that the average truck simply cannot budge. While the base model only comes equipped with the standard accessories, the top-of-the-line trim promises pure luxury. Due to a new suspension system, the Ram 2500 AWD now rides better than ever before. In terms of performance, the Cummings diesel engine is a powerful workhorse. The 2015 Ram 2500 is clearly one of the toughest pickup trucks on the market. When working in a rugged environment, the truck’s tank-like build quality enables it to take a pounding. Owners can also look forward to an incredibly long service life. The truck’s overall durability gives it a big advantage over a regular pickup truck. Over the last decade, the Hemi engine has reemerged as one of the most powerful V-8 engines on the market. With a total output of 410 horsepower and 429 pound-feet of torque, the 6.4-liter engine provides plenty of muscle. When fitted with the proper towing accessories, the V8-powered Ram 2500 can tow up to 16,300 pounds. In terms of sheer power, the 6.7-liter Cummings diesel engine is a spectacular performer. With the assistance of a turbocharger, the beastly engine is able to pump out 370 horsepower and a monumental 800 pound-feet of torque. It can pull hefty loads with ease. In fact, the diesel-powered Ram 2500 has a towing capacity of nearly 18,000 pounds. The truck’s capable 4WD system gives it an extra level of ruggedness. When traveling in snow or deep mud, the tires just keep churning. Drivers will find the enhanced traction to be extremely useful throughout the year. In an effort to enhance the truck’s versatility, Ram also designed the 2500 with a tow/haul mode. Unlike some of the competition, the Ram 2500 4WD comes with a 100,000-mile powertrain warranty. If the owner experiences a problem with the engine or transmission within the warranty period, Ram will pay for the repair work. Over the course of four years, the warranty could save the owner a significant amount of money. The Ram 2500’s lengthy warranty makes it a legitimate bargain. Neither Ford nor Chevy offers a manual gearbox in their heavy-duty trucks. This is gives the Ram 2500 a decisive advantage over its rivals. Plenty of drivers will appreciate the fun factor of a manual transmission. Although the Ram 2500’s manual gearbox is designed with a heavy-duty clutch, it is still quite easy to shift the gears. Passengers should feel very secure riding aboard the Ram 2500 4WD. The truck’s steel chassis is far stronger than most sedans. While the Ram 2500 does not offer many advanced safety features, it does come with enough safety equipment to satisfy most owners. Anti-lock brakes and a tire-pressure monitoring system come standard on every model. Prospective buyers can also opt for a rear-view camera and parking sensors. For the truck shoppers who are seeking extra passenger room, the Mega Cab model is the ideal option. Most full-size sedans do not even offer this much roominess. Due to the Mega Cab’s extra space, some Ram 2500 owners may use their truck to take a family vacation. This model is also available with plenty of creature comforts, including heated rear seats. The Power Wagon model is hands-down the most capable pickup truck in the Ram lineup. It comes standard with all of the necessary off-road equipment. Some of the rugged features include all-terrain tires, skid plates, and hill descent control. The Power Wagon even comes standard with a high-powered winch. From the bayous of Louisiana to the Rocky Mountains of Colorado, this truck can handle a variety of treacherous landscapes. Buyers who upgrade to the higher trim levels can choose from several luxurious features. 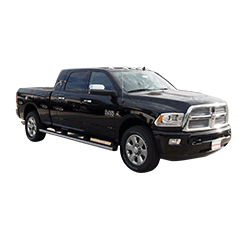 Ram’s highly-praised UConnect infotainment will surely appeal to technology lovers. Some of the other high-end commodities include a RamBox cargo management system, remote ignition, ventilated seats, and a surround-sound audio system. The Ram 2500 4WD is a big, heavy truck that consumes quite a bit of fuel. Drivers who are concerned about fuel efficiency may need to consider a light-duty truck. A loaded Laramie Longhorn model can easily exceed $60,000. 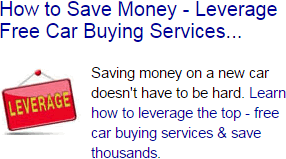 Buyers will definitely have to pay extra in order to ride in luxury. Not everyone will use the Ram 2500 4WD for its intended purpose. For the buyers who do not need a heavy-duty hauling machine, the regular Ram 1500 is a viable option. Both Ford and Chevrolet produce trucks that offer heavy-duty capabilities. Although the Ford F-250 Super Duty is an impressive looking pickup truck, the Ram 2500 4WD offers the most refined interior. Ram also offers a longer powertrain warranty than Ford. In terms of towing heavy loads, the Ram 2500 is a tad bit more capable than the Chevrolet Silverado 3500 HD. Drivers who need to haul an extraordinary amount of weight can rely on the powerful Ram 3500 4WD. While all versions of the truck feature an extremely rugged chassis, the Ram Wagon will appeal to the adventure seekers who plan to travel in remote areas. On the other hand, the ultra-luxurious Laramie Longhorn trim provides an incredible amount of luxury.